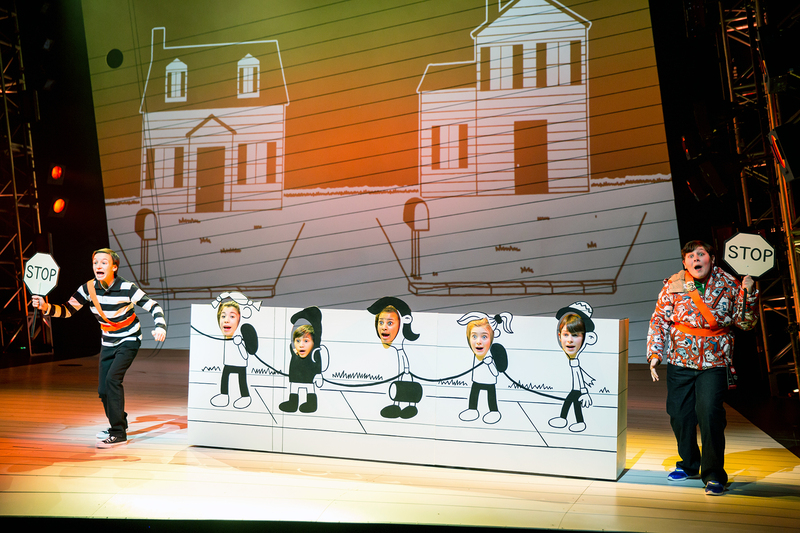 Greg (Ricky Falbo) and Rowley (David Rosenthal) and kindergartners in Diary of a Wimpy Kid. The book series Diary of a Wimpy Kid, written by Jeff Kinney, is one of the hottest properties in children’s books. Its two film adaptations so far have both been critically and commercially well-received; to say that its stage adaptation was hotly anticipated is quite the understatement. Still, there’s always that question – would something essential about the books’ humor be lost? How would this satirical, realistic children’s story told in anecdotes – a format seemingly perfect for pausing mid-book and picking up again another evening – function as a 135-minute musical? Questions like this make a critic’s job interesting, but on Friday night they were quickly put to rest. 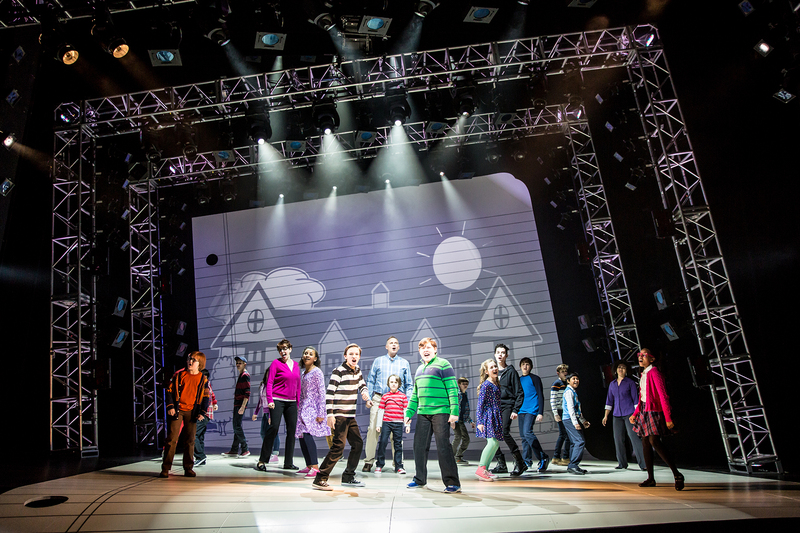 The musical Diary of a Wimpy Kid is one of the most engaging and interesting new musicals of 2016. It’s a show that could easily play on Broadway for years, with a timeless and ageless appeal that knows no particular age group or target demographic. 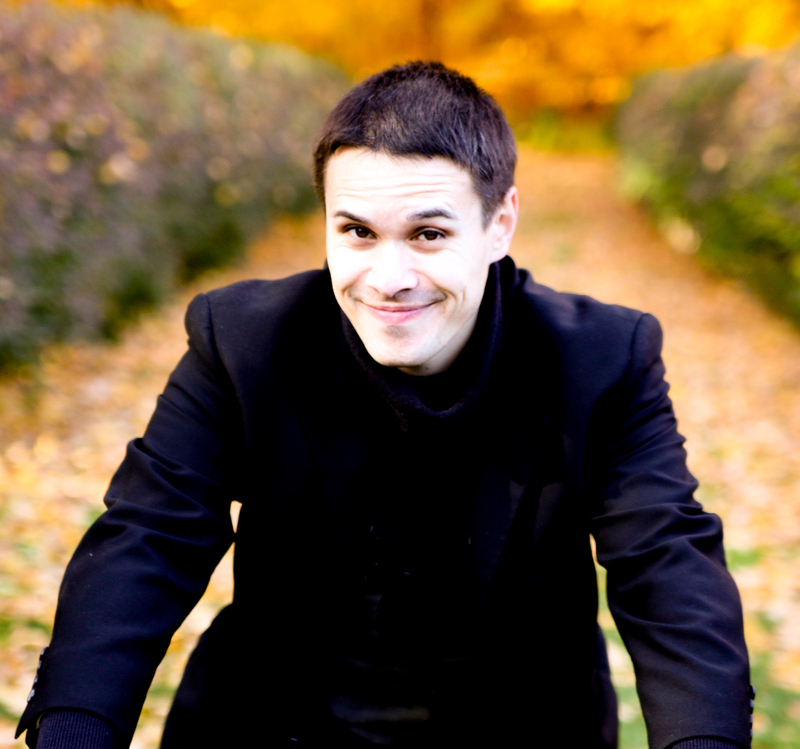 Will children, however defined, enjoy it a lot? Absolutely – but their parents, grandparents, and older siblings are just as likely to be having the time of their life. What goes into this musical masterpiece? The script is by Kevin Del Aguilar, and smoothly interweaves lines, scenes, and concepts from Diary of a Wimpy Kid‘s first and second books. It retains the essential character of the books while theatrically expanding selected moments; the songs by Michael Mahler and Alan Schmuckler are smoothly worked into the fabric and laced with clever lyrics that are surprisingly complex and accessible. The song melodies are also engaging and catchy – try seeing this show and not singing the refrain “Animal Heart for You” for weeks afterwards. This package is wrapped in a brilliant scenic design by Scott Davis, a visual scheme that features a transforming set, projections by Mike Tutaj, and a great deal of visual humor that recalls the line art in the books. The material is brought to life by a very talented cast. The titular wimpy kid, Greg, is played by Ricky Falbo; if this performance is any indication of the future, Falbo is definitely a young actor to follow. Greg’s onstage rival Patty is played by the equally talented Johannah Easley, the star of last fall’s Akeelah and the Bee; the two’s onstage face-off in “Election Day” is one of several powerhouse ensemble pieces in the show. The rest of the cast isn’t exactly wimpy. Brandon Brooks (as Rodrick) is a hilarious scene stealer, while David Rosenthal’s performance (as Rowley) imbues much of Act II with the gravitas that turns this from just an ordinary children’s musical to an extraordinary one. That’s without even mentioning Joshie (Keegan Robinson) and “Animal Heart” or the simple joys of a too-cute procession of kindergarteners. The Children’s Theatre Company’s programming five world premieres in its 50th season was ambitious, to say the least. It’s a promise that has been amply fulfilled, however, and a credit to Peter Brosius’s artistic vision. Diary of a Wimpy Kid isn’t just a home run – it drives the ball right out of the park.